Great schools don’t just happen – it takes a community dedicated to education to make a difference! 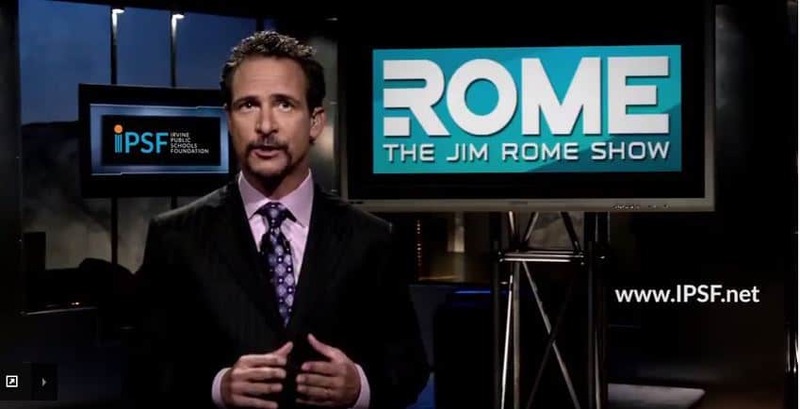 Thank you to Jim Rome, critically-acclaimed sports talk show host and IPSF President’s Circle Leader, for being a partner in education. Mr. Rome showcases why supporting IPSF is critical to sustaining educational excellence in Irvine in our new PSA commercial, now airing thanks to our generous partners at Cox Communications.